A machine is usually only tens of meters in size, but in various parts of the world there are many other machines that have extraordinary size. In fact it makes these machines dubbed as giant machines thanks to its WOW size! Thanks to its enormous size, its operation also requires a lot of people. In fact not enough one or two people, but requires up to hundreds of people to become the operator of the machine. Immediately, here's a row of giant machines that once existed. Let's check! 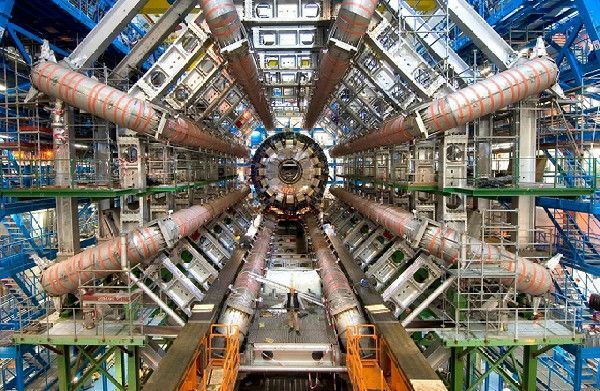 The Hadron Collider is 27 kilometers in diameter and has a depth of 175 meters underground. Inside the Collider, there are two high-energy beams supported by thousands of super-conductive magnets in two vacuum tubes. Magnets are stored at a cold temperature of -271.3 degrees, which means they are cooler than in space. Not quite up there, because the ongoing construction for a new underground accelerator machine that measures three times larger than the Large Hadron Collider. Given a giant machine located in Geneva, Switzerland is the smallest structure of the atomic nucleus. If the Large Hadron Collider is the largest underground machine, The Giant Bucket Wheel Excavator is the second largest engine in the world operating above ground. The bconon engine built in Germany in 1995 has a height of 29 meters and a length of 225 meters feet and weighs up to 14,000 tons. This giant machine can move 8.5 million cubic feet of land per day. This machine is usually used to dig open pit pits, but this machine is not necessarily able to operate because it still requires some help experts to smooth the operation of the machine. And require the help of other heavy equipment such as bull doser to speed up workmanship. Tunneling Machine is the largest tunnel making machine with a length of 300 feet, this machine has a weight of about 7,000 tons. This makes the delivery of this machine should be divided into 31 parts when it will be distributed to a particular region. This 17.5 ton diameter engine beats a similar machine in Florence, Italy. This giant spider-shaped machine called La Princesse, which can run as far as two miles per hour. 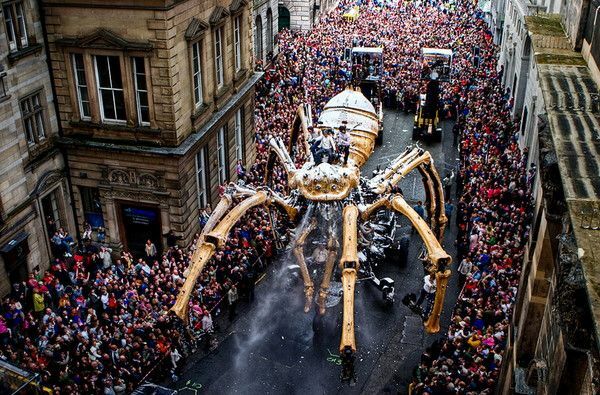 Even this giant spider can also climb the side of the Concourse House building, a slum building on Lime Street. Giant spider machine on display in the streets of Liverpool, England has a weight of about 37 tons, 15 meters high and driven with 50 hydraulic axis. Even for the operation it takes 12 people, while to transport it from one place to another, the machine requires 16 cranes. This spider-shaped mechanical engine became the world's largest mechanical engine. Zollner Elektronic AG, a German company spent six years designing the largest remote control robot ever. The dragon-shaped engine robot is designed by a team of 15 experts and requires four operators to drive the giant dragon. 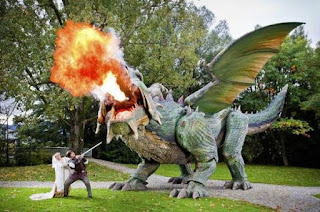 The giant dragon has a height of 4.5 meters, weighs 11 tons, wingspan along the 3.7 meters and can also extend fire through his mouth. In it equipped with a powered engine 140 horsepower, and has a 2.0-liter engine cap. This gigantic dragon has nine separate controllers, each containing two IT processors, a Fujitsu microcontroller, and 238 motion sensors for the environment. 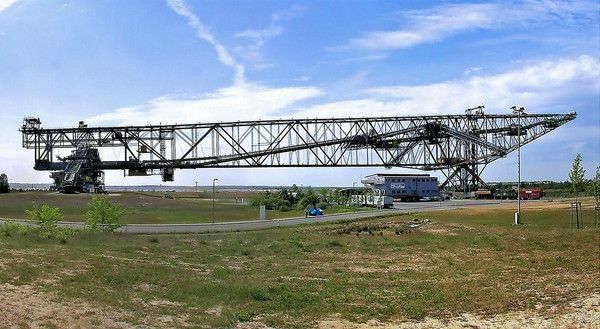 This giant object is the largest conveyor bridge in the world. The entire structure measures 502 meters, 202 meters wide and 80 meters high and its weight is amazing, reaching about 11,000 tons. 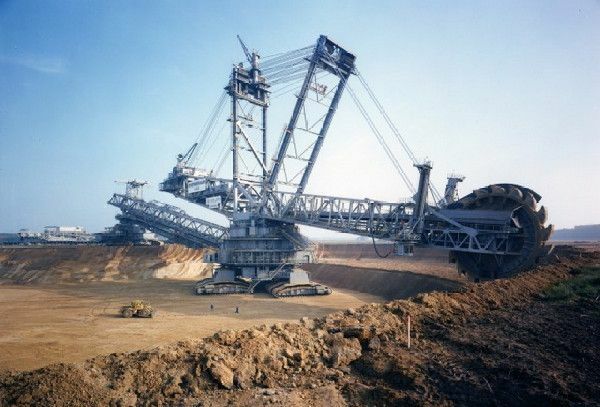 The giant machine was built in East Germany in 1991 by VEB TAKRAF Lauchhammer, until now the machine can still be found. World's Largest Floating Vacuum Cleaner is a hopper dredger built in 1998. 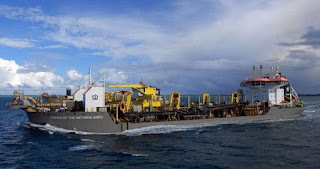 The machine has gross tonnage of nearly 33,423 tons and a deadweight of nearly 60,000 tons. The length of the machine is almost 230.71 meters with a width of 32 meters and still foam is used to date. That's 7 Giant Machines That Size Make You Surprised. Not just the sheer size of the usual, but the function of the machines are also not less amazing. 0 Response to "14,000 Ton! 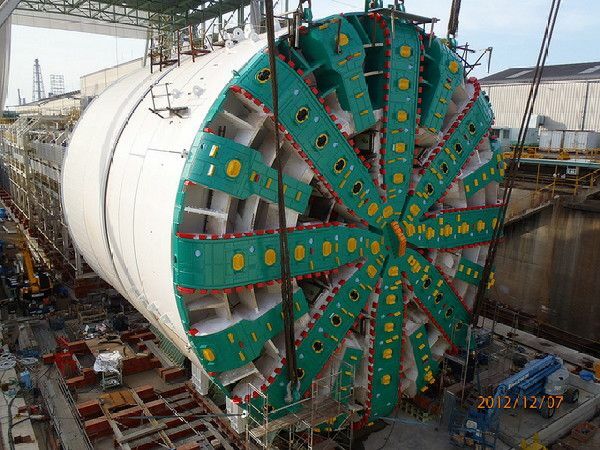 7 Giant Machines That Size Make You Surprised"